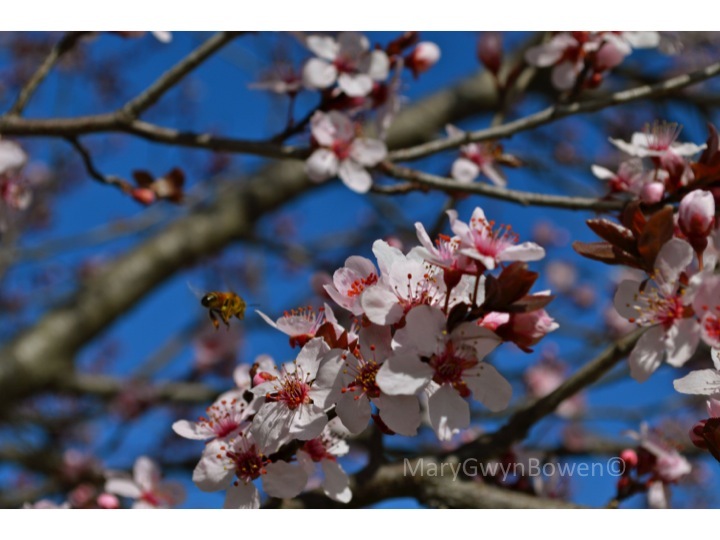 Nothing says Spring like the sight of Cherry Blossoms and this little bee knows it. He was making a beeline for the blooms. Maybe he’s hungry after a long cold winter! This entry was posted in art, nature, photography, postaday, Uncategorized and tagged postaday. Bookmark the permalink. The blossoms look so pretty! Do they bear white cherries or red ones?